There are plenty of reasons to learn a foreign language. If you already speak English, you don’t need to worry about how to learn German easily. German and English share over a third of their vocabulary words, and grammar and sentence structure is very similar between the two languages. There’s an old expression that “theory and practice are the same in theory, but different in practice”. There are no shortage of German learning programs out there, but sadly, they tend to fall into one of two extremes: on the one hand, many German courses use a lot of English to teach a lot of boring grammar and language theory. On the other hand, there are courses that drop you into the German language with no context and little English explanation. Our approach at OptiLingo is to focus on core German vocabulary, helpful, every-day phrases, with a bit of helpful explanation here and there to give you the grounding and confidence you need to properly speak German. 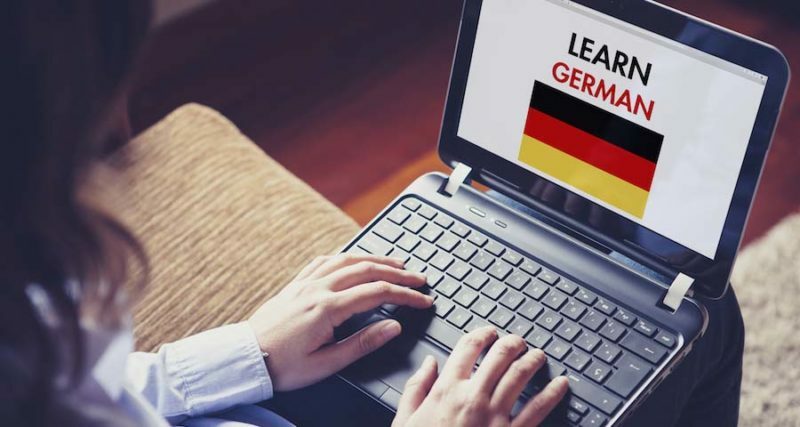 In our opinion, this is the fastest way to learn German, and our approach is ideal for anyone looking for the best way to learn German quickly. As you may have noticed by now, OptiLingo’s free online German course allows you to pick and chose the lessons that you want to focus on. We don’t force you to move through some pre-defined set of German lessons. This approach puts you in control of what you want to focus on, which helps to keep you motivated and engaged. This, in turn, helps ensure that our German courses provide the easiest way to learn German fast. As you can see, we’ve taken great pains to build a free online German course that provides a fast, easy way to learn German. So, for anyone who wants to know how to learn German quickly, we strongly believe that allowing you to pick and chose the lessons you want to focus on will provide you with the quickest way to learn German.